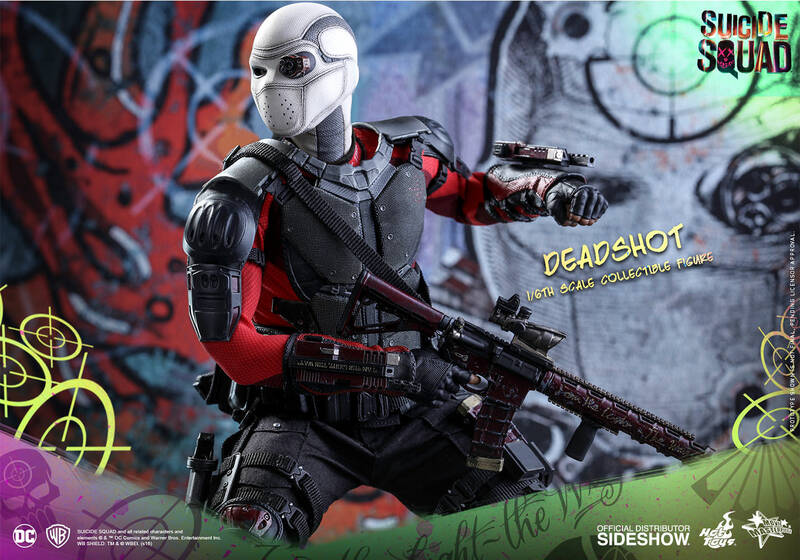 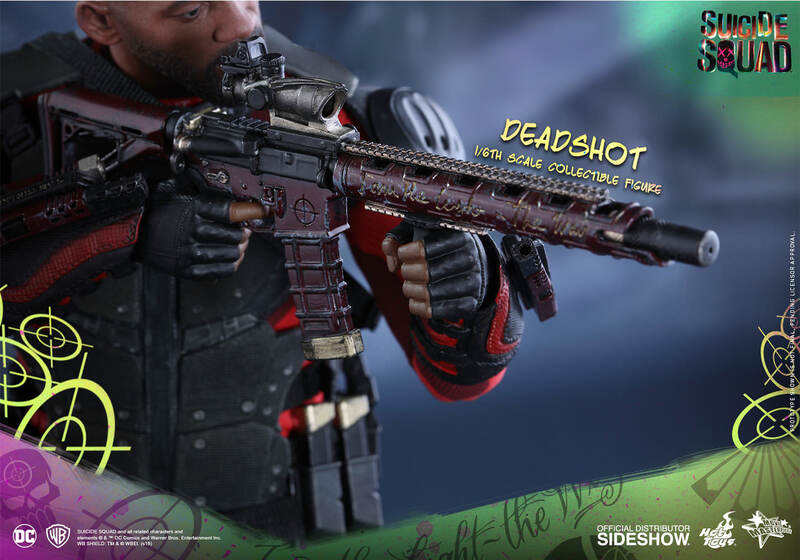 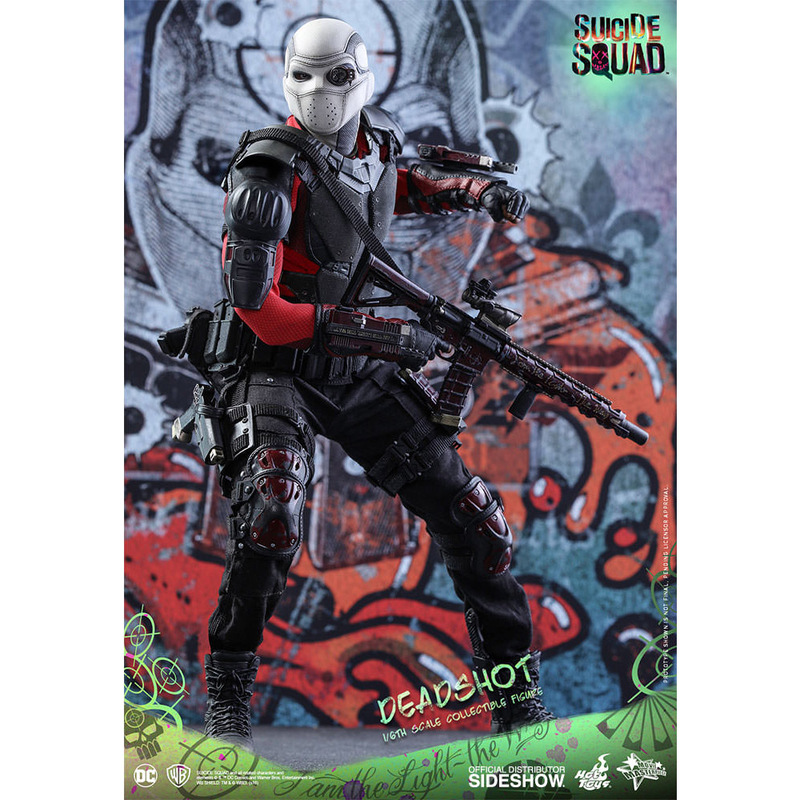 Set your sights on the Suicide Squad Deadshot Sixth-Scale Figure because you’re not going to want to miss this one. 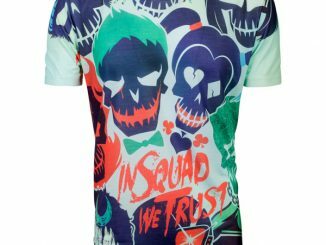 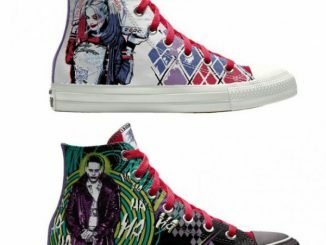 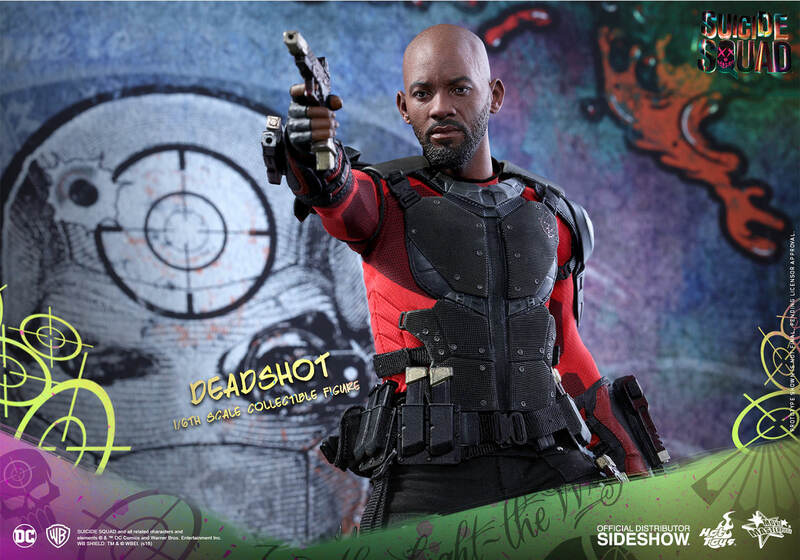 The fresh prince of Gotham City? 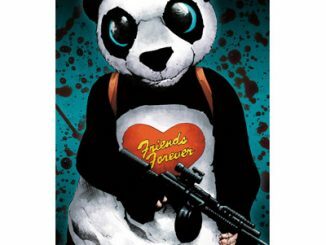 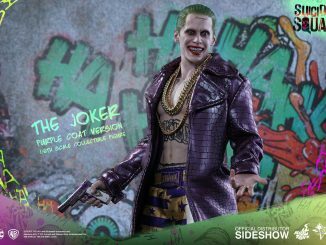 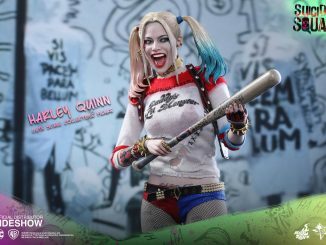 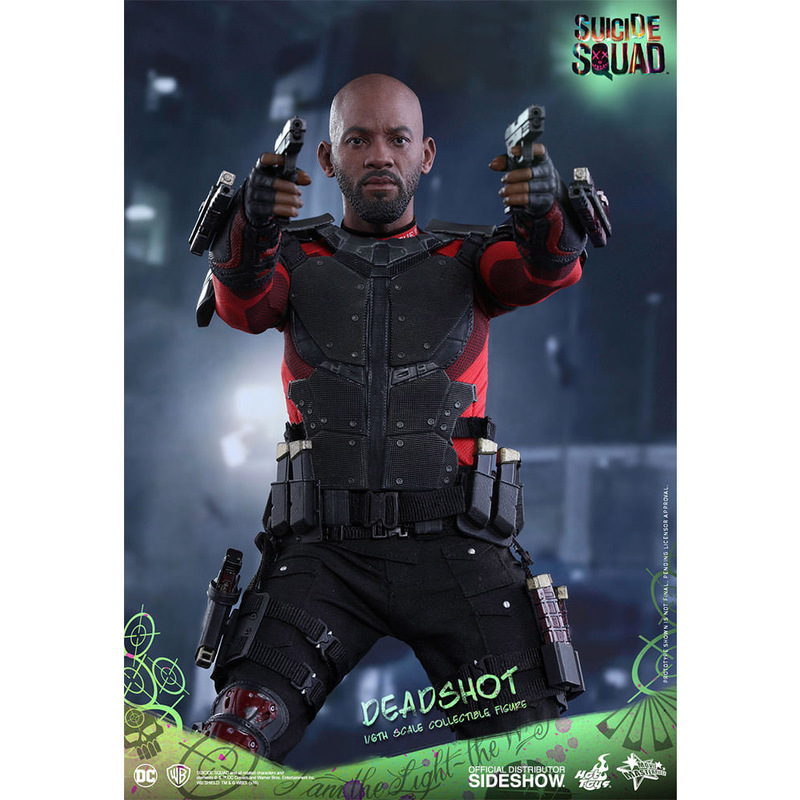 Standing 12.59-inches tall, the figure is based on Will Smith’s portrayal of Floyd (Deadshot) Lawton in Suicide Squad. 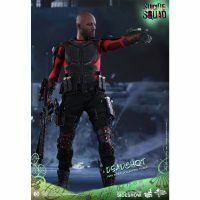 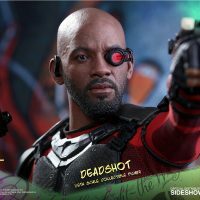 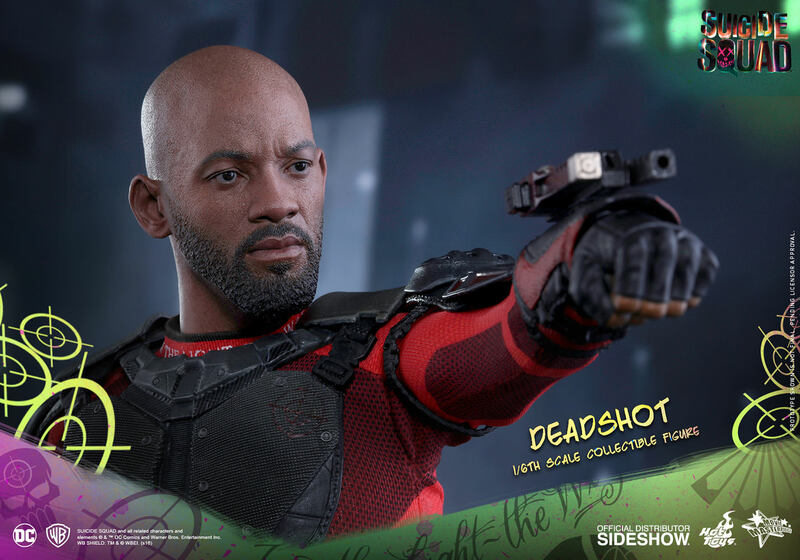 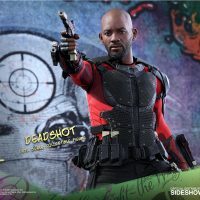 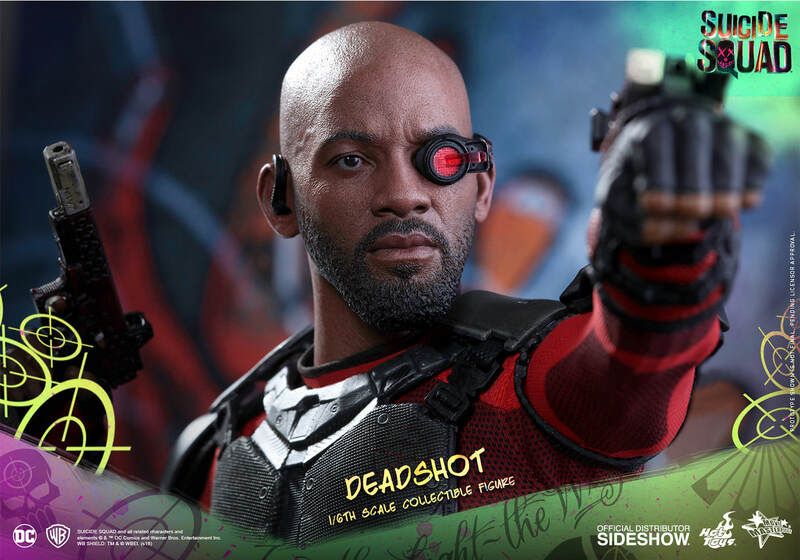 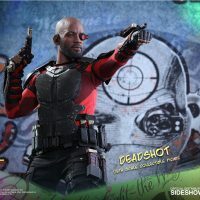 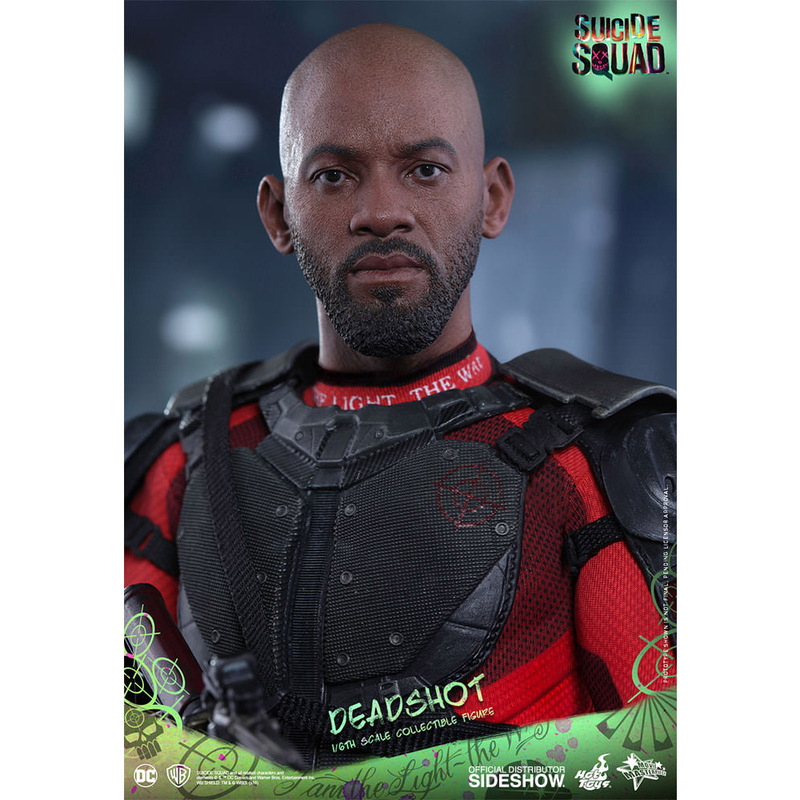 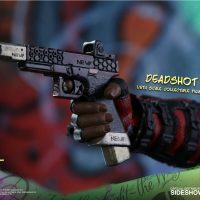 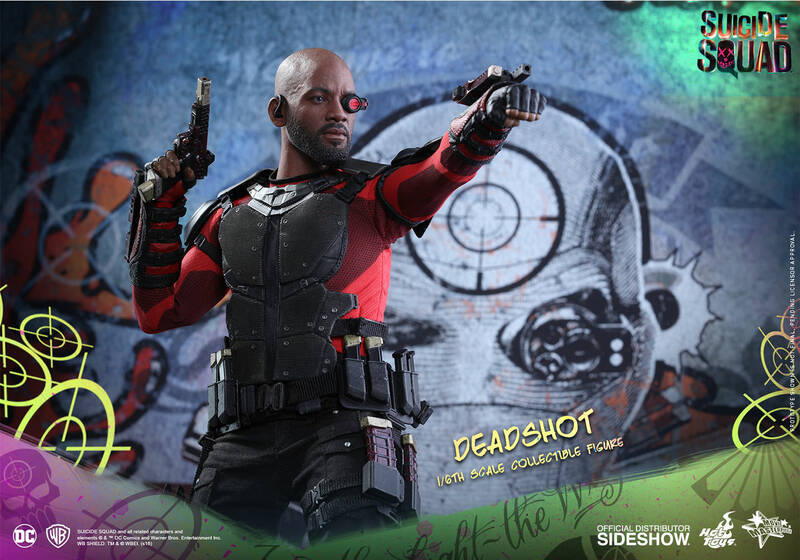 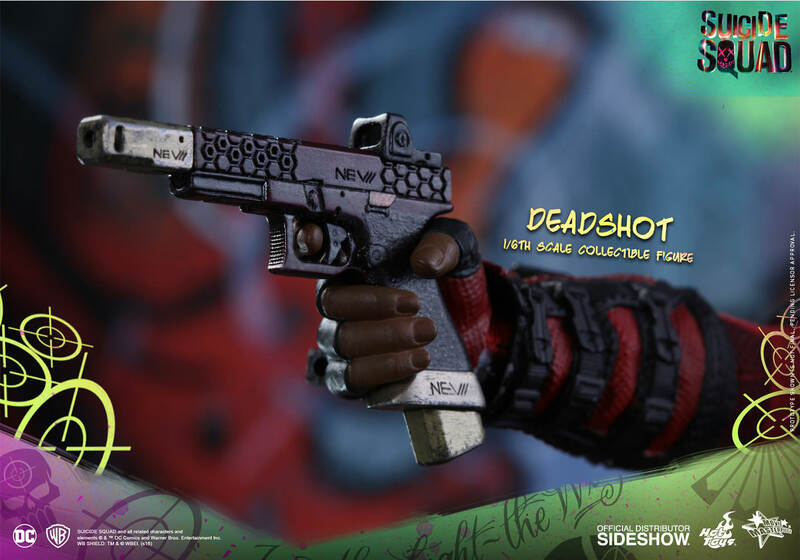 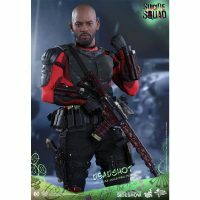 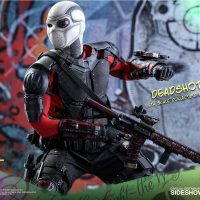 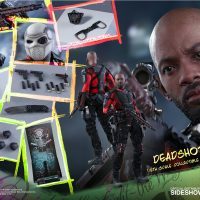 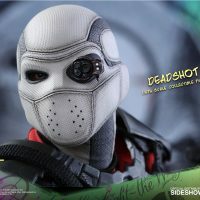 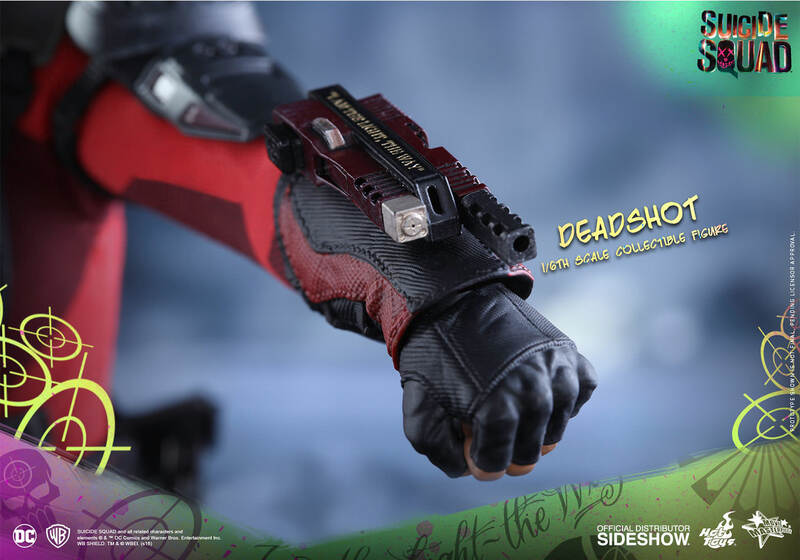 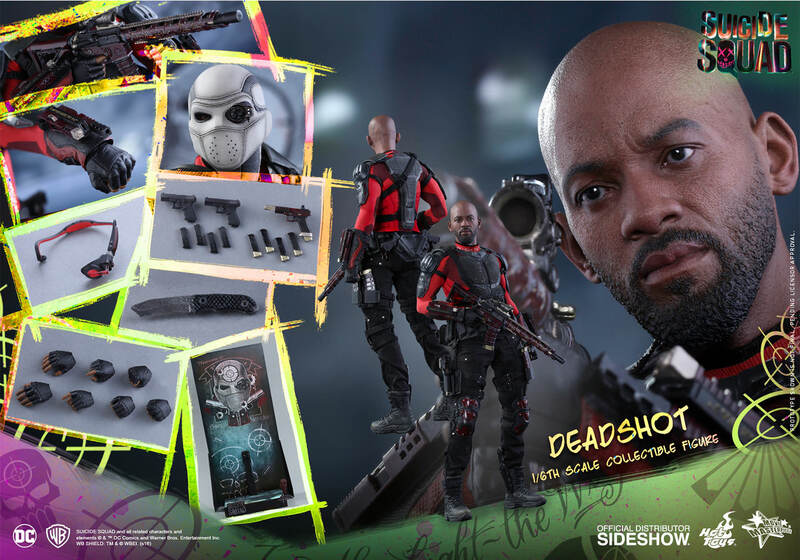 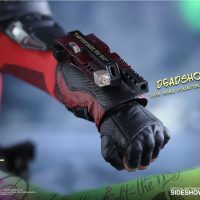 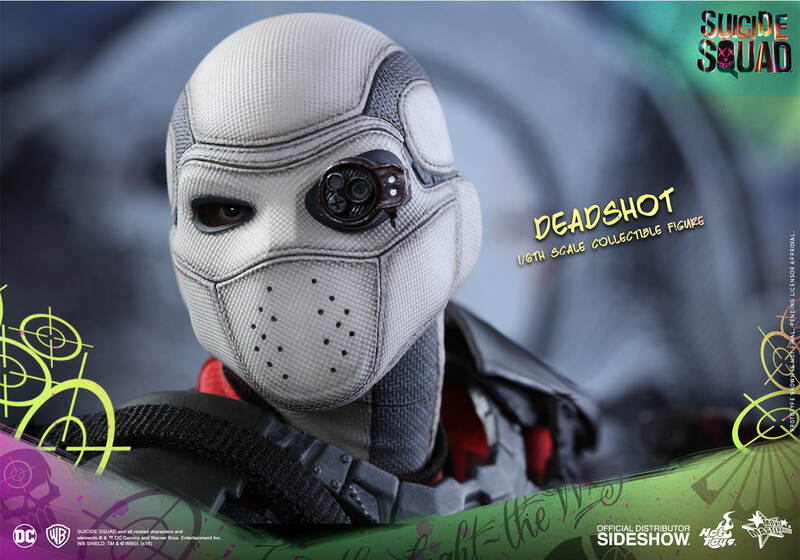 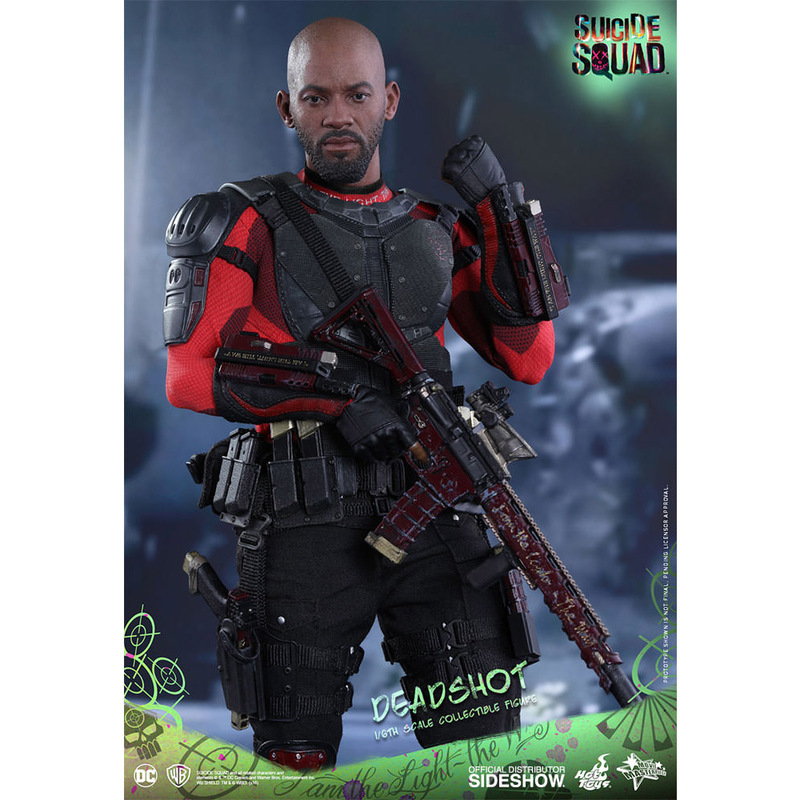 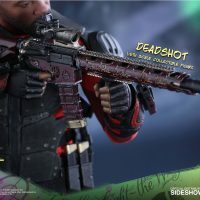 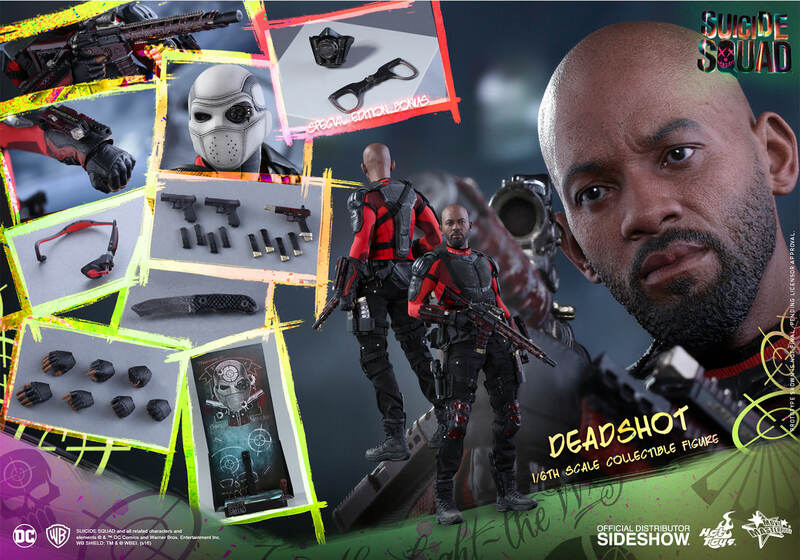 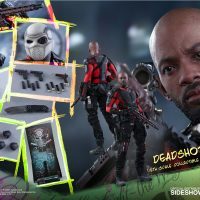 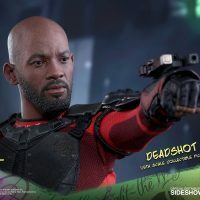 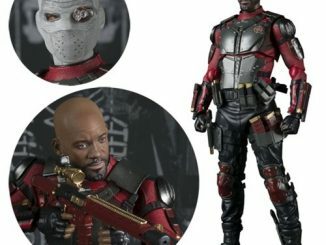 In addition to an authentic and detailed likeness of Smith, the figure also comes with an interchangeable masked head sculpt with an aiming device on the left eye and assorted weapons, including Deadshot’s iconic wrist-mounted guns. 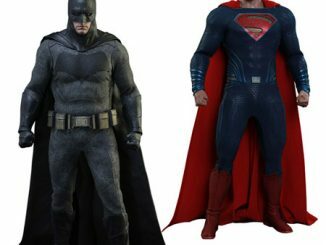 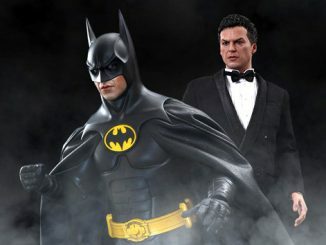 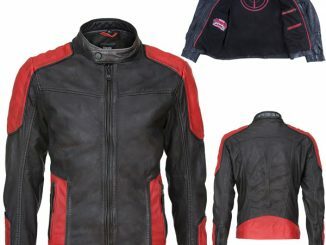 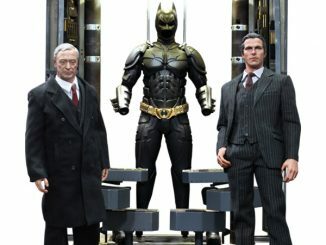 A Special Edition, only available in selected countries, will include Batman’s rebreather and handcuffs as bonus accessories. 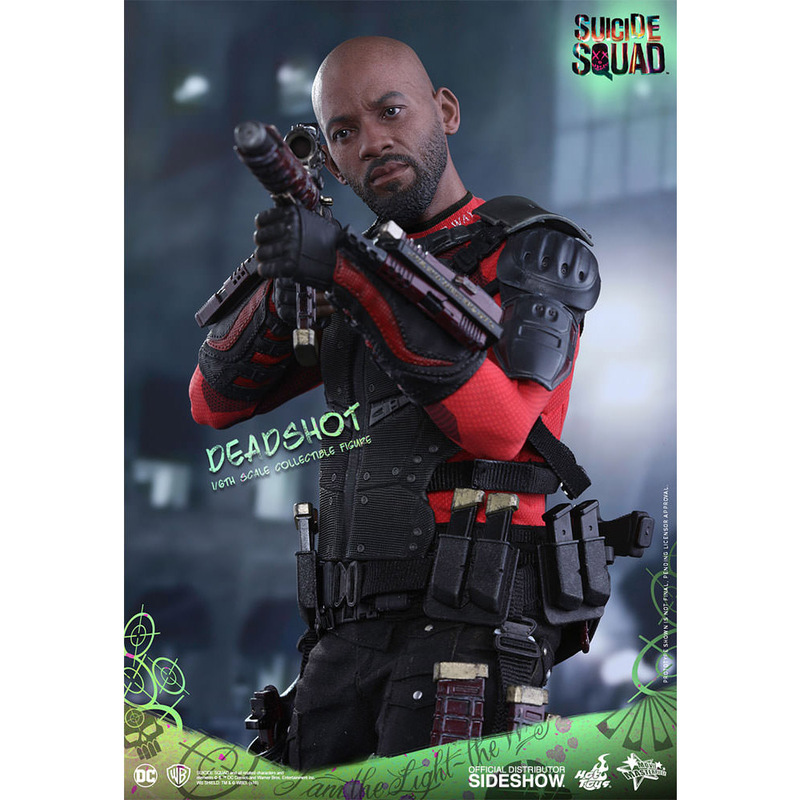 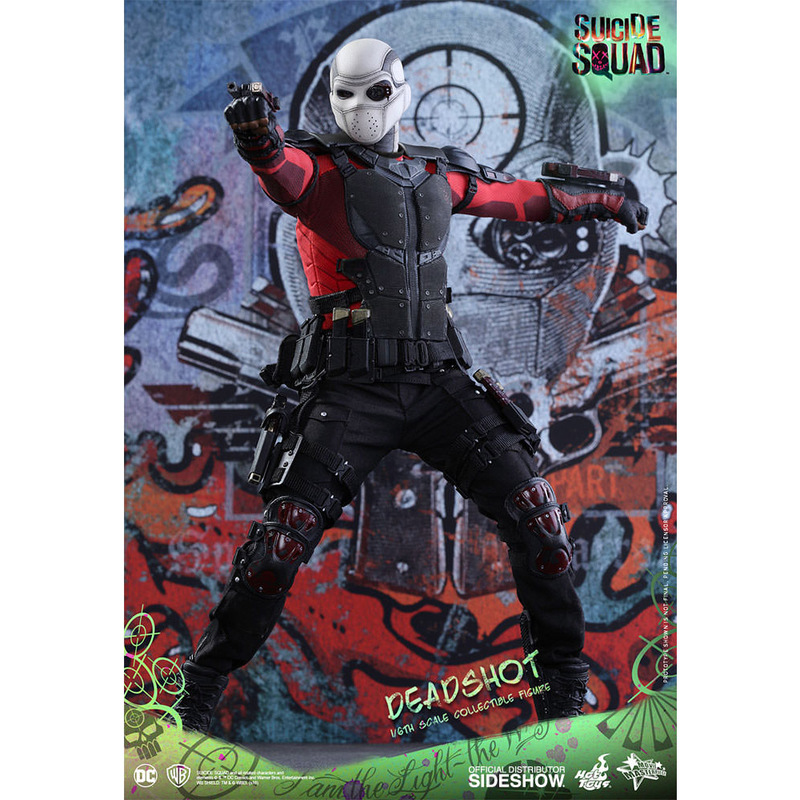 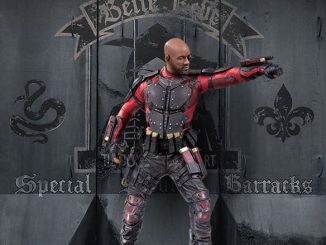 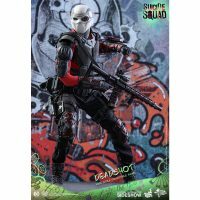 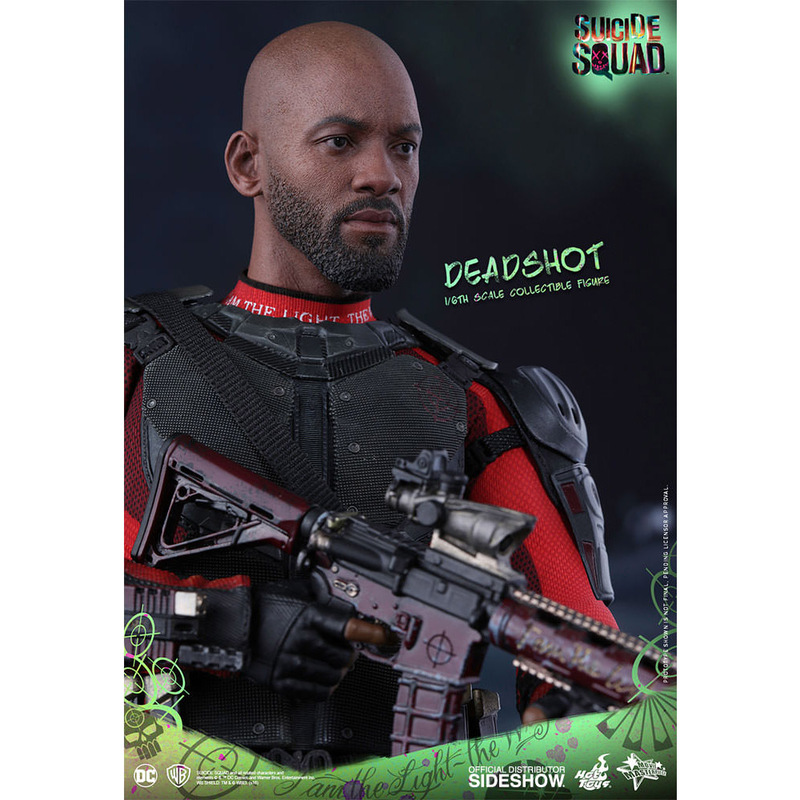 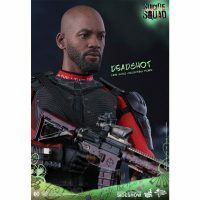 The Suicide Squad Deadshot Sixth-Scale Figure will be available Apr 2017 – Jun 2017 but it can be pre-ordered now for $244.99 at Sideshow Collectibles.